Were you aware that, when your disabled or special needs child reaches the age of 18 (which is the recognized legal age of majority in the State of Florida), your parental rights (including those related to medical, educational, living, and financial decision making) expire – regardless of the extent of your child’s disabilities? In order to retain the power to make all of the critical decisions your disabled child needs relating to their care and daily support when they turn eighteen, you are required to formally petition the court to become a legal guardian advocate on their behalf. From a legal perspective, an eighteen year-old individual is considered an adult and is thus presumably capable of handling all of his or her own personal affairs unless a judicial proceeding grants some or all of this responsibility to a parent or guardian. Accordingly, an individual who has reached the age of majority is afforded more rights, yet is also exposed to more risks and obligations. Per the federal Family Educational Rights and Privacy Act, an eighteen year old can grant their parents or other adults access to educational records by signing a disclosure form. Additionally, disabled individuals who had been receiving Supplemental Security Income (SSI) benefits for a specified condition may lose them as soon as they turn eighteen, depending on the extent and official classification of their disabilities. An eighteen year-old who gets SSI benefits should anticipate having their eligibility status re-evaluated under an alternative adult disability standard in the month preceding them turning eighteen. The individual’s health insurance may also be impacted. Florida law requires dependent coverage to be available until the dependent reaches thirty years in age. Parents and guardians whose health insurance policies covers children should reference their policy contracts. Granting guardianship removes an adult individual’s right to make decision regarding the areas of their life that a court has determined the person is incompetent of making on their own. 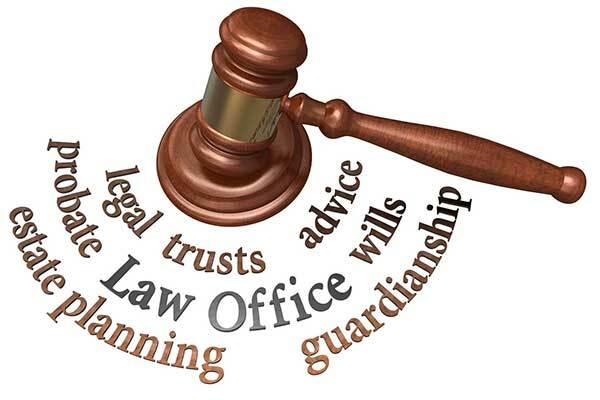 In legal terms, a person for whom a guardian has been appointed is referred to as a “ward” of the appointed guardian. Full Plenary Guardianship (F.S. 744.102 (8)(b)): An individual is selected by the court to exercise all delegable legal rights of the disabled person. This requires that the person is deemed incapable of handling any personal decisions, money, and property. Limited Guardianship (F.S. 744.102 (8)(a)): An individual is appointed by the court to exercise only specified rights and powers that are predetermined by the court, depending on the extent and nature of the ward’s disabilities. Emergency Temporary Guardianship (F.S. 744.3031): This is where a temporary guardian is appointed for a person who is allegedly incapacitated – until a full guardian can be appointed. A temporary guardian may be appointed only after a petition for incapacity has been submitted and the court finds that the ward is in imminent danger of physical or mental harm. Voluntary Guardianship (F.S. 744.341): If the court rules that the individual is not incapacitated, and the individual then submits a voluntary petition for guardianship, the court can appoint a guardian or co-guardian. Pre-Need Guardian (F.S. 744.3045): A competent adult can select an individual to serve as his or her guardian if they become incapacitated in the future. There are significant procedural variances between a Limited Guardianship granted under Chapter 744 and Guardian Advocacy per Chapter 393. Chapter 744 mandates that a three member examination committee be convened to recommend that the individual lacks the capacity at issue, prior to court appointing a guardian. Importantly, these examiners may have little to no experience in disability matters, and the overall process may be considerably longer and more expensive for the petitioning party. However, the potential ward is afforded substantial due process protections that are not granted under Chapter 393. Per Chapter 393, there exists no requirement for an examination committee, or for a court to rule on the issue of capacity of the ward prior to the guardian advocate being appointed. Instead, the court may reference the individual’s personal support plan, their IEP and medical documents, and other information to make a determination on the level of their disability and the corresponding need for assistance in the form of a guardian advocate order. Regardless of the specific issue, the entire legal team at Beller & Bustamante, P.L., understand that your case is personal and extremely important to you. Accordingly, it is our primary concern to ensure that you receive dignified, professional legal counsel during every stage of your case. We know the challenges that the parents and guardians of special needs children face and how overwhelming and confusing the judicial process can seem when attempting to ensure that they receive the care and treatment they need. Let us assist you in ensuring that you are able to care for and provide for all of your loved one’s needs. Contact our Jacksonville legal team today.